Thomas Knowlton is arguably Ashford’s most widely recognized war hero. 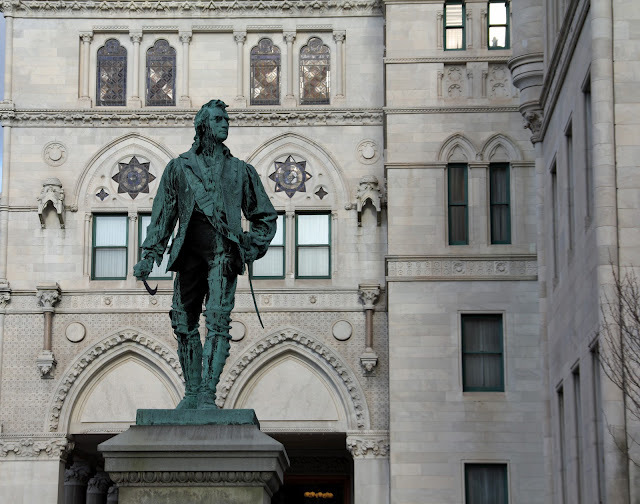 His service during the Seven Years’ War and the American Revolution are memorialized in a statue on the grounds of the State Capitol and in the dedication of Knowlton Memorial Hall in Ashford. Knowlton first saw military action when he enlisted as a private in Colonel Phineas Lyman’s Connecticut provincial regiment in 1757 during the Seven Years’ War (also known as the French and Indian War). He fought in numerous important battles during the war, including the Battle of Fort Ticonderoga in 1758. His service culminated with the siege of Havana in 1762, by which time he had risen to the rank of second lieutenant. After the war, Knowlton served as an Ashford selectman, until he heard about the outbreak of hostilities at Lexington and Concord. As a militia captain at Ashford, he led a company of 78 men to help surround the British in Boston. 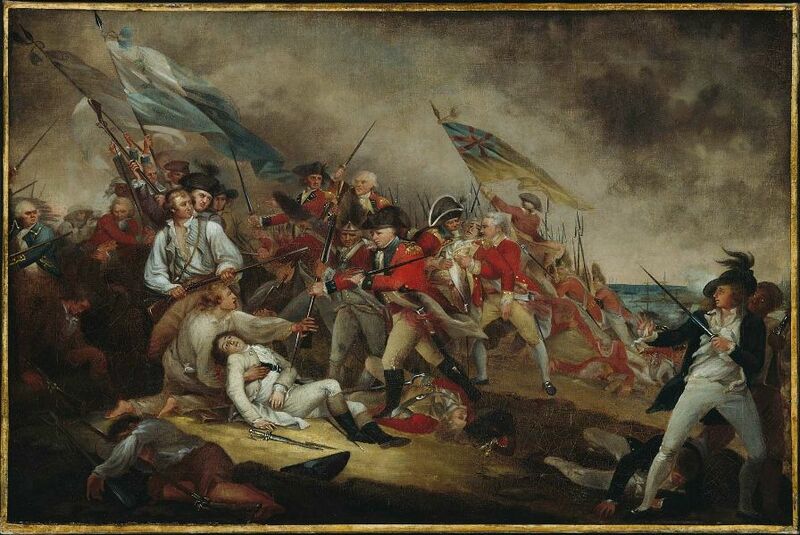 The General Assembly appointed Knowlton captain of the fifth company of Israel Putnam‘s Third Connecticut Regiment and he and his men poured a withering fire on British troops advancing on a strategic rail fence during the Battle of Bunker Hill. On January 1, 1776, Knowlton received a promotion to major of the Twentieth Continental Regiment of the Continental army. Shortly after, he marched his regiment to New York City to assist General George Washington in the defense of the city. Now a lieutenant colonel, Knowlton led a group of light infantry fighters known as Knowlton’s Rangers. These men undertook the dangerous task of obtaining intelligence information for the Continental army. Included among Knowlton’s troops was the soon-to-be-famous patriot Nathan Hale. Woodward, Ashbel. Memoir of Col. Thomas Knowlton, of Ashford, Connecticut. Boston, MA: H. W. Dutton & Son, 1861. Link.